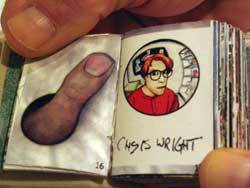 Chris Wright artwork is now available in book form! Brand new for 2005! 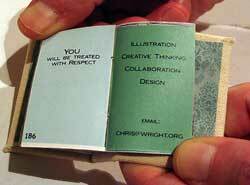 A Chris Wright Limited Edition Mini Book. 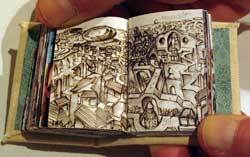 This stunning handmade creation contains 192 pages of full color reproductions of the artistic genius of international illustrator and artist Chris Wright. Your eyes will be treated to a vast array of imaginings and styles, including reproductions of original paintings and illustrations and even some samples of the artist's graphic work. You no longer need to worry about running out of wall space for Chris Wright artwork. 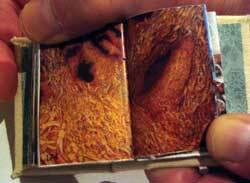 This little book is so compact, you'll never have to be without Chris Wright again - you can carry it with you everywhere you go. It will become a bible to you and provide you will strength and inspiration. It is the Infractionist ideal that demands such questions concerning meaning and relation never be answered, creating a mind frame where logic collapses beneath the weight of infinity. 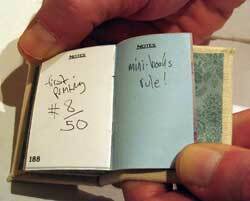 This book is part of a small printing of only fifty books. This is the very first printing. 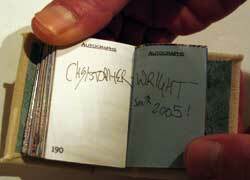 Each book has been signed and numbered by the artist Christopher Wright. 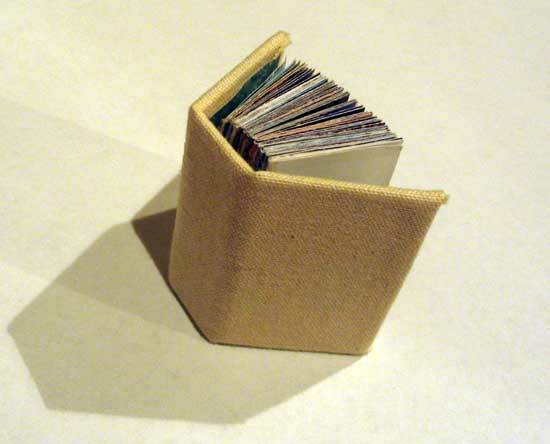 This book measures 1.5" X 2.0" and is approximately an inch thick. 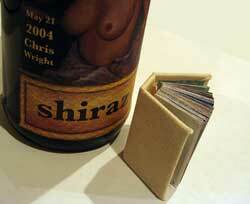 It is hand bound and has a hard cover encasing. 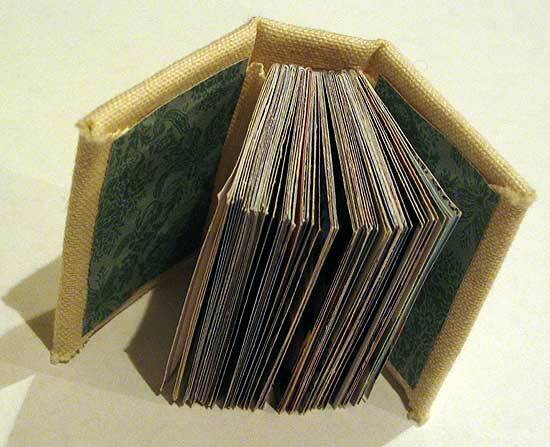 It contains 192 pages for your reading, viewing and meditative pleasure. The retail value for this hand bound book is $500. Supersmall Gallery Price - $285.00.